You’ve heard about the user-centric approach at least a million times now. Personalization is exactly what you want to achieve in all your marketing efforts. In a perfect world you can meet your website visitors’ desires and display each individual’s preferred content in front of their eyes before they begin searching for it on their own. The only way to do this is to collect and collate as much information as possible about individual users’ behavior, to give you a full picture of their preferences. The longer your relationship with someone lasts, the better you know their habits and preferences. It’s a great feeling when you’re buying coffee before a meeting with one of your long-term clients and don’t even need to ask what kind of milk she takes in her latte. We should strive to make the same impact on our website’s visitors. This knowledge is a powerful tool in our marketing arsenal, delivering us with actionable information that we can use to juice our conversion rates through customized delivery of marketing and sales content. How can you take advantage of User-Centric Reporting? Piwik PRO User-Centric Reporting is a way for you to obtain a deep understanding of your visitors’ individual behavior by summarizing and listing their visits. It takes information about visitors to compose Visitor Profiles, which we can use to prepare individual profiles for the most important segments of website visitors – those who buy, and those who abandon the conversion funnel. Ultimately, the power of User Level Reporting is its help in tying buyer personas to real website users, allowing us to uncover the entire journey customers take on our website. To get started, you need to define the segment of users you want to understand better. Perhaps you have created a wonderful piece of content to support your marketing efforts, like a whitepaper or webinar maybe. In order to get a handle on the impact of this document, you can create a segment like “Users who visited the product page after downloading the whitepaper”. The following step involves diving deep into a given individual user’s profile for an analysis of the particular actions taken by that user while visiting your site. 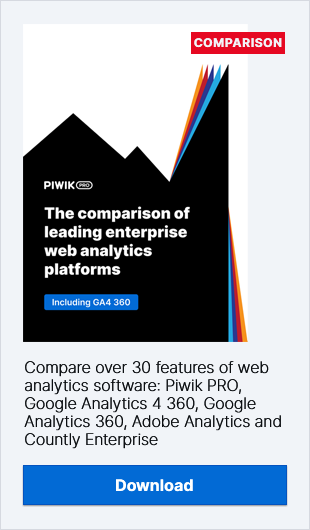 Piwik PRO provides you with the user’s entry point, browser, location, clicks, time on page and more information about that person’s path through your conversion funnel. Further refinements can be implemented thanks to custom variables and custom dimensions, which allow you to cast your net even further. Assigning a status to an individual can allow you to target the user with specific content that could entice that person to take particular actions – maybe a coupon code or cross-selling offer could achieve higher conversion rates among users labeled with the custom variable “new opportunity”. Piwik PRO custom variables and dimensions can be used to pass on other significant information that your organization’s marketing professionals can employ in taking decisions and developing campaigns. Demographic data from the registration process, marking of visitors who are leads, and information from URL parameters can all be collected, collated and presented in reports allowing you to plan refinements to your website. The final step in using custom variables is to engage the data in order to answer important questions. How can I tie user behavior to real living personas? How many days and how many visits do individual users need to convert and become customers? What are the most important pages they visit before converting and becoming paying customers? And are those pages really prepared to be a part of the customer journey? Can we find micro conversion and important touch points that characterize the customer journey? For example, visits to pricing pages, subscribing to a newsletter, downloading a whitepaper. The predictive power of data generated with custom variables has obvious benefits – the more complete the customer profile, the better decisions you can take in designing the sales funnel to maximize conversion. Knowing what your customers will likely do before they actually do it represents a real opportunity to boost sales performance and improve the effectiveness of your marketing efforts.